My shoulder repair surgery was 11 days ago now, and things seem to be going pretty well. 17 more days with my sling, not that I’m counting, really. Pretty minimal pain at this point, except at night, when it’s pretty brutal — I think laying down on my back or side puts the shoulder into a position that puts pressure on the repair. So I’m not sleeping very well at all, which is discouraging, but overall I’m quite happy with how things are progressing, and am fired up about getting into PT in a couple of weeks. 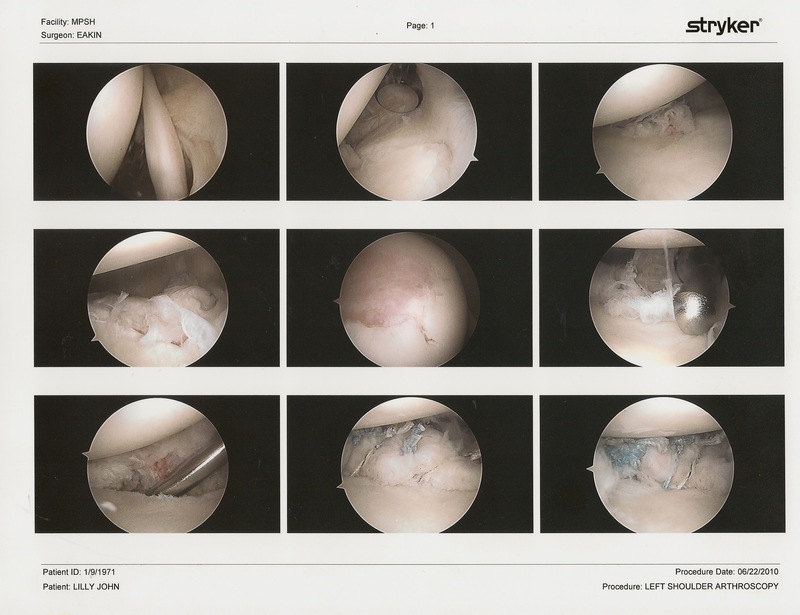 I am blown away by the precision of the arthroscopic surgery. When I had my shoulder repaired 20 years ago, they made a 4 inch incision, detached the muscle from the bone, and generally had to open everything up to get in to repair things — that meant a 3 day stay in the hospital, and a long & painful rehab, although I don’t really remember much about it, honestly. On the whole, though, so far so good. 2 weeks left in the sling, then 4 weeks of PT (1st week is passive, where they will move my arm around; next 3 are active), then 4 weeks of strengthening. Feeling pretty doable at this point. Lots to see as I start to use the joint again, but optimistic so far. Anyhow, that’s the update from shoulder central — in a bit of pain at nights, but super-optimistic. Next up, traveling to Vancouver with my sling. How did you type all that, and the other four posts, with your arm in a sling?